Batman: Arkham Asylum Game of the Year Edition (xbox 360) Complete! Ships Fast! Batman Arkham Asylum Game of the Year Edition Microsoft Xbox 360 Complee CIB! 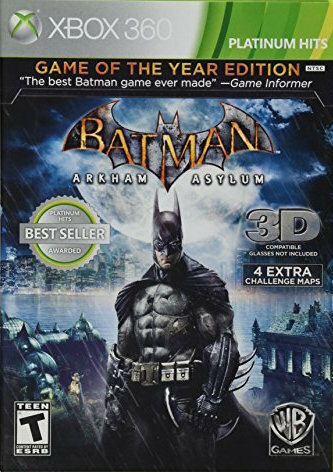 Batman: Arkham Asylum -- Game of the Year Edition (Xbox 360) Complete Free Ship!